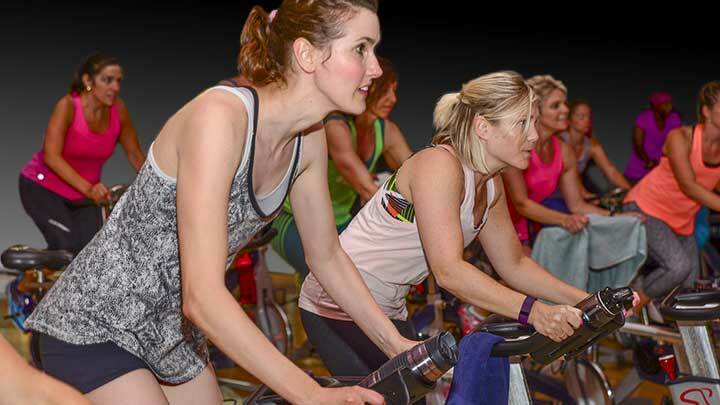 Cycle Fit indoor cycling is a group exercise class done in our 54 spinner bikes in Studio C. During the class, the instructor simulates a ride. Together, you travel on flat roads, climb hills, sprint, and race! It is truly a fantastic ZERO IMPACT cardiovascular class. The beauty of indoor cycling is that you can do it even when its raining or snowing outside! You are kept motivated by the instructor, the people around you and by the music! It’s lots of fun.